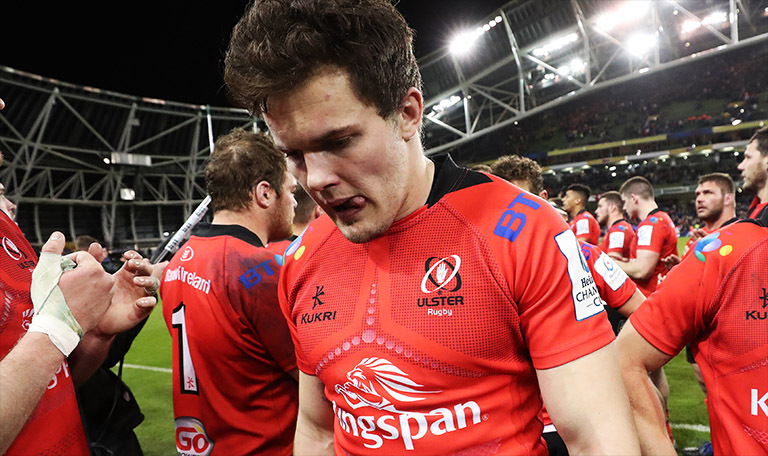 Jacob Stockdale’s unfortunate error in Ulster’s Champions Cup quarter final clash with Leinster has been a huge talking point in the aftermath – and now incredible footage has emerged that shows just how fast the whole scenario played out. In a clip uploaded by former Munster centre Barry Murphy, we see what appears to be a ball-boy having a quick dunk of a chocolate bar into his tea before Stockdale tears down the sideline. The Ireland winger has apologised for the unfortunate error on social media, but this new angle doesn’t do him any favours. He definitely had the time and the space to go to ground earlier and make sure of the try. But hindsight is a wonderful thing, and as many have pointed out – there aren’t many wingers in the world that could have beaten as many defenders so easily as Stockdale did to get himself into that position in the first place. No doubt he’ll be a better player for the lesson this has taught him.